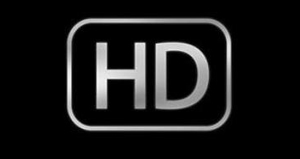 iPhone Going HD This Summer? It was pretty safe to assume that this week would belong to the iPad as many pre-orders graduated to a 'shipped' status. With all the leaks surrounding the iPad App Store and iBookstore pricing strategies, the last gadget I expected to make the rumor rounds was this summer's iPhone refresh. Apparently no week can go without an iPhone mention so here's the latest. The Wall Street Journal published a shocker – arm your sarcasm detectors – of a piece yesterday evening that opened with 'news' that Apple was planning a new iPhone this year. Apple's apparently hard at work concocting a CDMA flavor of this summer's iPhone that'll be set to launch on Verizon as the year winds down with manufacturer Pegatron beginning mass production in September. With such deep inside sources, you'd expect to hear some hardware details for what we can expect but instead all we get is "the model is likely to be thinner and have a faster processor." This is breaking news, people. 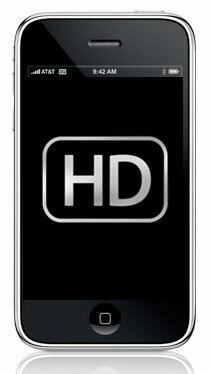 Thankfully sources outside the WSJ's have let slip to Engadget that the forthcoming refresh would be named iPhone HD for its hi-res screen and could possibly be announced June 22nd. As AppleInsider points out, WWDC – the even where Apple usually announces new iPhone hardware – is rumored to be scheduled one week later starting on June 28th and running through July 2nd. It'd certainly be strange to see WWDC roll through without an iPhone keynote to start developers off. John Gruber followed up with some juicy details that the WSJ couldn't nail. Supporting Engadget's iPhone HD name, Gruber points to a pixel resolution of 960 x 640. An HD resolution of that sort would put all three older generations to shame with the now sub-par 480 x 320. He hears the iPhone HD will adopt Apple's A4 system-on-a-chip and delivers a front-facing camera where the iPad couldn't didn't. Probably most important of the bunch, iPhone 4.0 will bring third-party multitasking among other features. If everything comes to fruition, it's shaping up to be the A+ upgrade Jobs described during the town hall meeting in early February. Then again, rarely do all the rumors we hear swirling come true, but here's to hoping! What do you think? Is this enough to make you take the leap to AT&T or will you hold out for the later Verizon launch? Hardware wishes/hopes/dreams? Leave 'em in the comments!